What happens when you exceed your rental agreement term? ✅Answer from iModular.com: In our industry we say that "there's nothing more permanent than a temporary building" - I hope you can appreciate the humor. The answer is that the rental company has the right to either continue renting you the modular building at the same price or increase the rental rate under a new rental agreement. Unless you negotiated a price for an extension it's the equipment owner's right - they can even take the modular back if the circumstances dictate a removal. The best you can do if you are in this situation is negotiate a lease / rental renewal and sign a new contract that locks you and the supplier into a fair rental rate and term. Be sure to know how much longer you will need the space - you don't want this to happen a second time. DON'T FORGET: Another good tip is if you do renew the rental agreement for a longer period of time ask the supplier if they will inspect the structure and fix any outstanding or "normal wear and tear" items. Ask about cleaning and changing the heat and air unit's filter and inspecting the roof for any potential leak areas. Read this article about remodeling and maintenance of used modular buildings. 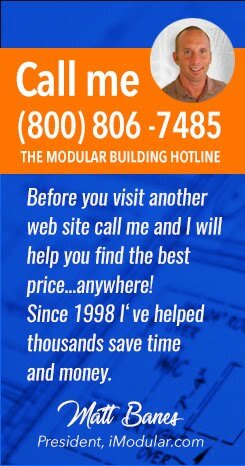 I hope this helps but if not feel free to call the iModular Help Line any time for nation wide help (800) 806-7485.